Broken oven? 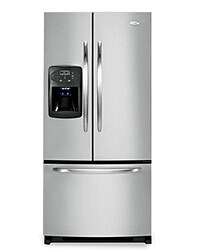 Hateful refrigerator? 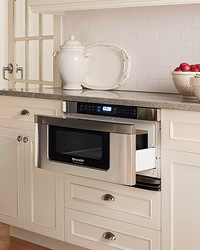 For any kitchen overdue for an upgrade, F&W’s Christine Quinlan identifies the best appliance advances of the past decade. Instead of equipping a stove with identical burners, manufacturers are installing specialized ones. BlueStar’s RNB stoves, for example, have one superpowerful burner for boiling water rapidly, as well as one simmer burner that can be set as low as 130 degrees. 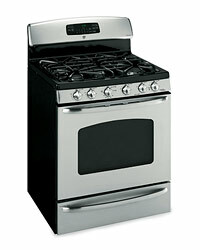 Many models, like those from GE, include a fifth burner in the center to accommodate large pots. Huge stoves have long come with two ovens, but now models from Maytag and Jenn-Air that are as narrow as 30 inches across include two ovens, as well. 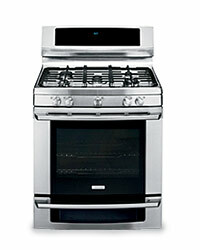 Bosch’s Evolution 700 Series gas ranges substitute a warming drawer for the second oven. In addition to equipping ranges with convection ovens—which have fans that speed cooking—companies are adding specialized functions. 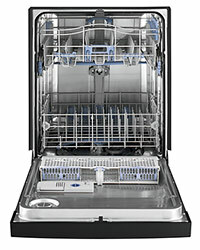 Some models in KitchenAid’s Architect Series have steam options that eliminate the need for basting meats. Electrolux ovens have bread-proofing and dehydrating settings.